The lights dim, the intro music starts and the MC introduces “The Chairman of the Board”. Out to the rapturous applause walks Martin Joseph in the persona as the one and only Frank Sinatra. As soon as he opens his mouth, the crowd knows that this is the real deal! Sinatra is a big role to fill and Martin Joseph manages to capture the very essence of the man himself. The cool confidence, the elegant control, the impeccable phrasing, it’s all there from the power-house start to the breathtaking finish. Frank sinatra was called “The voice” and Martin has the voice! Every nuance of those golden vocals are reproduced, the light and shade, the emotion, the effortless delivery, it’s all there. Martin leads his Rat Pack buddies throungh routine after routine on the roller coaster “ride-of-your-life” with the gags, the booze, the broads and just about the best music the world has ever heard as they re-create individually, in duets and in spectacular trios the entertainment legend that is “The Rat Pack Live“! Martin Joseph has singing for most of his adult life and started to perform as “Frank” a little over twelve years ago. 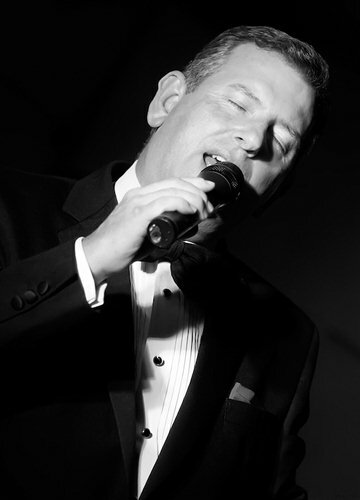 He has performed the role of Sinatra in the multi-award-winning “Rat Pack – Kings of Swing” show and for the past five years has been performing with the present line-up in all over Europe. He performs regularly in Sweden and Denmark with the renowwned XL Big Band and has performed his one man show in the legendary Riviera Hotel in Palm Springs USA and at corporate events in Caesars Palace Las Vegas. Martin performs solo and with “The Rat Pack Live” in corporate events weddings and quality venues throughout the UK, Ireland and Europe.